SKU:sir-walters Category: Other Tag: Musclegen Research Brand: MuscleGen. ur Phytocannabinoid-Rich (PCR) Peach Rings are created with our full spectrum zero-THC oil which contains cannabidiol (CBD), other minor phytocannabinoids such as CBG, CBN, CBC, and over 40 naturally present terpenes. 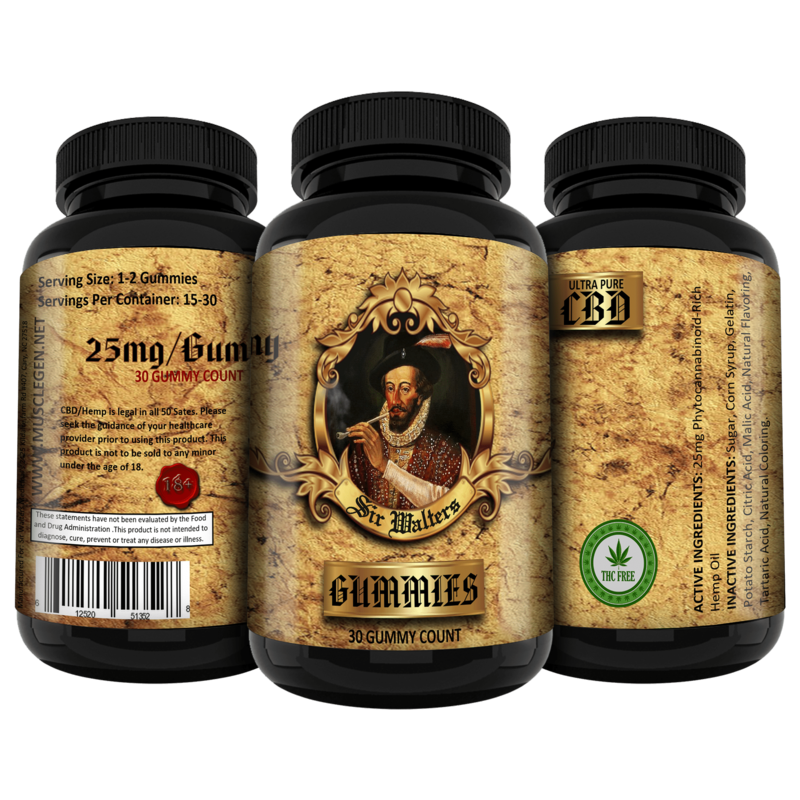 This product contains 25 mg of phytocannabinoids per gummy. Each ring is infused with our oil – not coated, sprayed, or dipped. Sugar, Corn Syrup, Gelatin, Potato Starch, Citric Acid, Malic Acid, Natural Flavoring, Tartaric Acid, Natural Coloring.